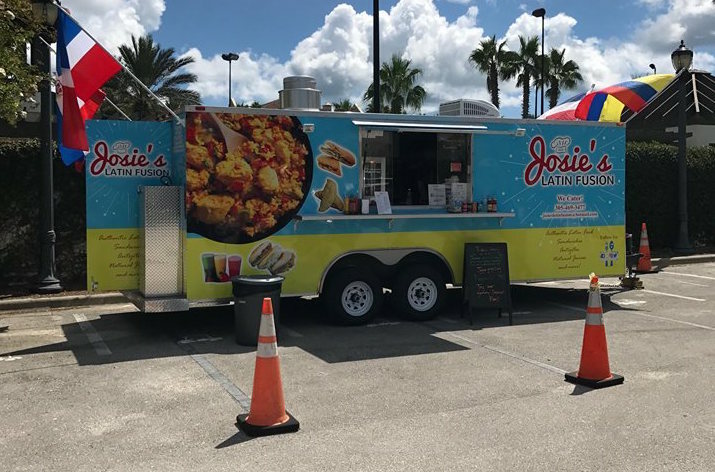 Josieâ€™s Latin Fusion specializes in authentic Colombian and Dominican Latin food. We offer a variety of typical dishes like Spanish Style Chicken and Rice â€“ â€œArroz con Polloâ€, Hand-crafted Empanadas, Gourmet Sandwiches, Stuffed- Arepas, Natural Juices, Desserts and much more! Our menu has something for everyone, including kid-friendly and healthy vegan options. All of our ingredients are always fresh and every meal is made with love! At our truck you will always get a Fast and Friendly service. We invite you to experience our Colombian and Dominican culture.